The Fort William Henry offers upscale lodging accommodations with the perfect mix of historical elegance and today’s conveniences. From the traditional grace of the Grand Hotel to the comfort of the Premium East and Standard West rooms, all of our accommodations enjoy access to our extensive amenities, including an indoor pool with sauna and Jacuzzi, Olympic-size outdoor pool, and three restaurants all on resort grounds. Offering 3 unique levels of accommodations – from the traditional grace of the Grand Hotel to the comfort, convenience and affordability of the Premium East wing and Standard West motel. 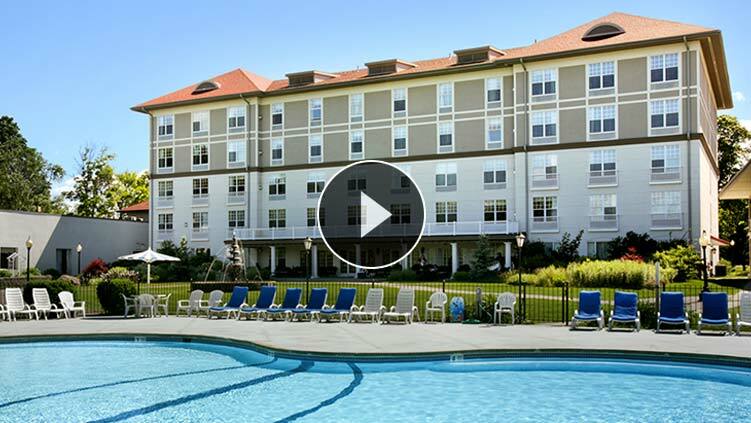 Explore the photo and video gallery and see everything that the Fort William Henry Hotel has to offer.